Computers and IT in any suburb, search listings for Computers Ballina, Computers Byron Bay, Computers Lismore, Computers Murwillumbah, Computers Tweed Heads and more suburbs Nationwide. Find Specialist in all types of Computers and & IT work. Nbtrade.com.au has Experienced people working the domestic and commmerical jobs. Our Computers & IT listings offer a personal service and great prices. Save yourself the stress, when it comes to computer and IT we just can't do everything ourself. For big jobs and small jobs Nbtrade.com.au Computers & IT directory has the listing for you. Stop avoiding and get the job done with our Computer & IT directory. Specialising on the Gold Coast and Nothern Rivers we also have many listings right across Australia. 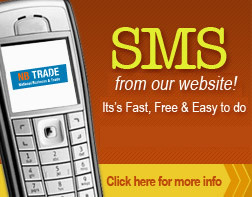 Email or SMS straight from our Computers & IT directory. Don't be bombarded with misleading advertising, confusing claims and simply bad information. Nbtrade.com.au provides all the information you need. From contact details to specialties. Helping you source Computers & IT of the highest quality of care. Look no further Nbtrade.com.au with the best and the most popular in our local area.